Bass Hall is the centerpiece of the University of Texas, Austin’s nine-theater performing arts complex. Built in 1981, the building’s Brutalist design, with a heavy brick exterior and a dark interior, reminded campus visitors and community members of a bunker, not a performing arts center. In addition, the building violated state fire and life safety standards. Sited prominently adjacent to Royal Memorial Stadium, the building was nevertheless an active part of campus life, despite its aesthetic deficiencies. 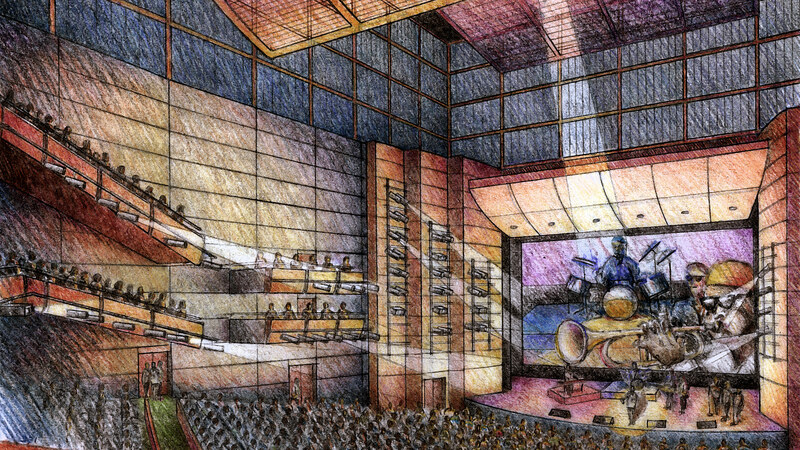 Moreover, with one of the largest stages in the country and seating for 3,000 patrons, Bass Hall had the potential to serve as one of the most significant venues in Austin. 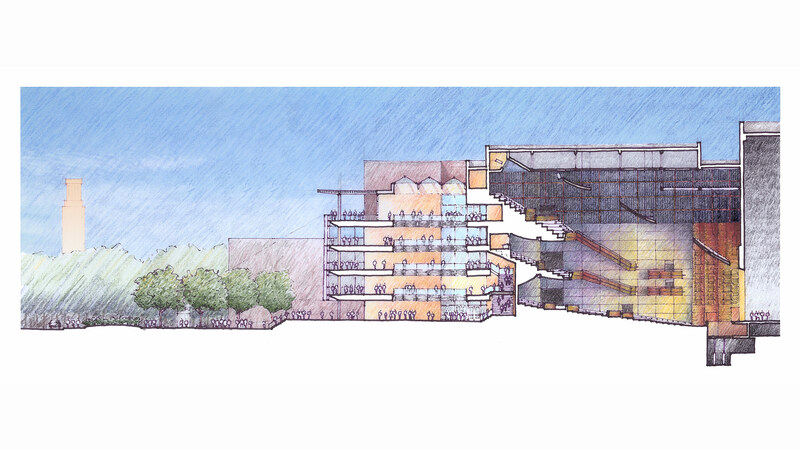 The scope of the project included a major renovation and addition to the building, one that would not only correct code violations but also give the building an architectural identity that communicated its function as a significant cultural venue. The front of the building was removed and opened up to create greater transparency and an expanded lobby was created for receptions and events. Upgrades to the audience chamber included new seating and flooring finishes, enhanced lighting, an opened ceiling with adjustable acoustic treatment and new surfaces on the side walls. The stage itself was updated with new cheek walls and a forestage canopy to improve sound projection and a new forestage grid to improve lighting flexibility. 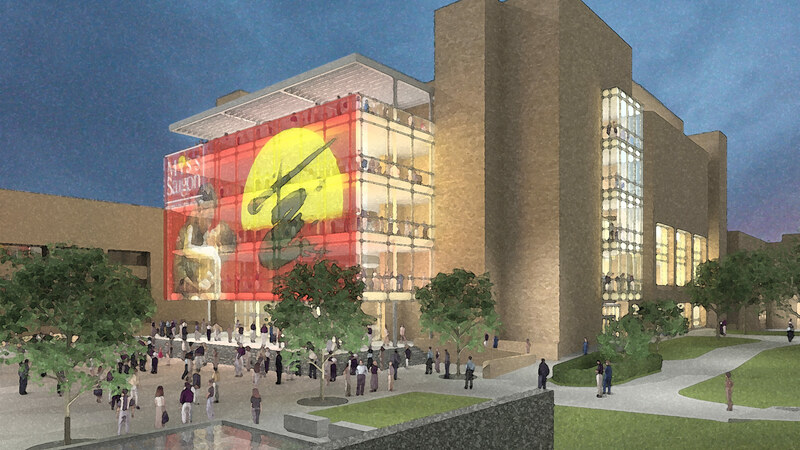 The results transformed the building into a new popular performance venue for Austin and the region. Isaac Campbell was the Project Designer for the Concept Phase and early Schematic Design of this project while at Boora Architects.